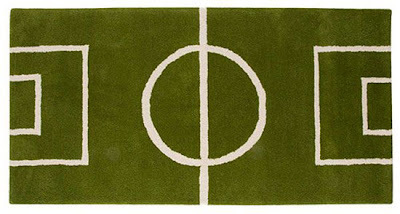 The most unique and creative rugs, carpets, area rugs and doormats from all over the world. 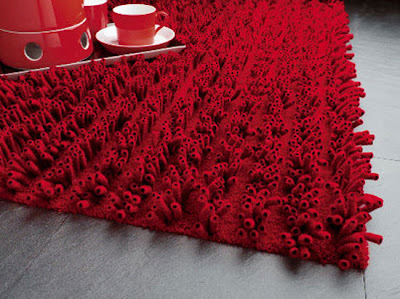 Flower shaped pieces of felt gives this carpet a beautiful appearance. 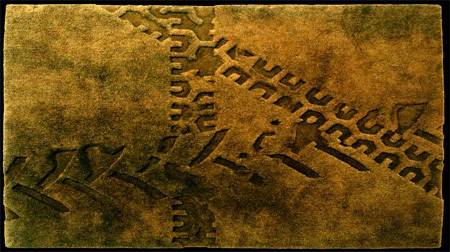 Its surface is full of constant movement and volume. 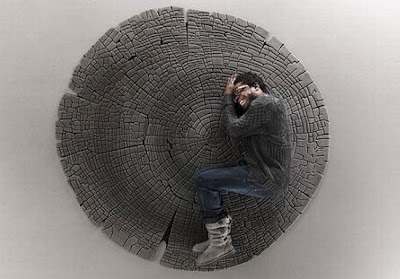 With the Persian Puzzle Puzzle by Katrin Sonnleitner you can puzzle your own floor or wall decor. Congratulations, you have made it through another day! 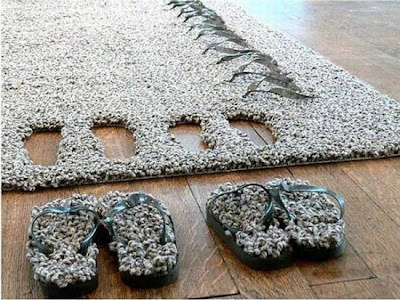 Bedside rug with porthole cut outs for your matching slippers. Creative rug by YL design is a is a print of cross-section of a tree. 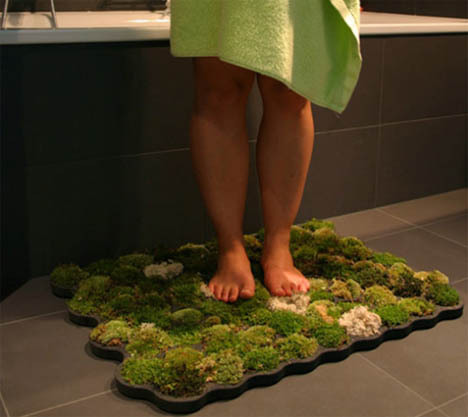 Creative bathroom carpet designed by Nguyen La Chanh. Modern rug, titled “Grand Grand Splatch” by Puspam. Designed by Aguiniga Design, this innovative foresty goodness folds up nicely when not in use. 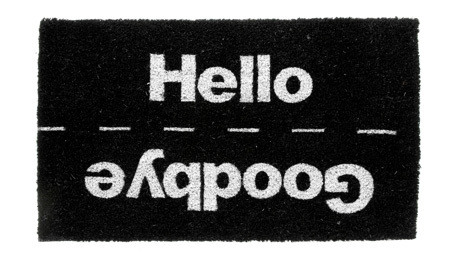 Modern doormat features a clever Hello/Goodbye design. 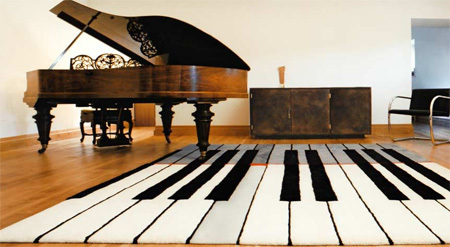 Creative rug designs by incredible artists Madeleine & Dudley. 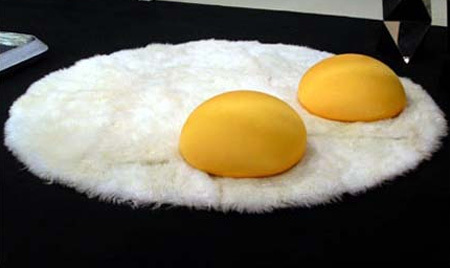 Sunny Side Up Shag Rug by Designer Valentina Audrito. 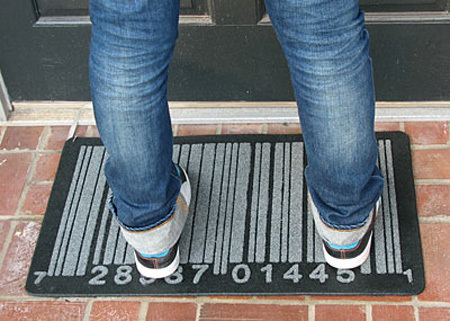 Beautiful modern doormat made from high-grade steel. Following the age-old tradition of using rugs as a means for communication and a cultural record, this rug is portraying global warming in a scene that invites us to reflect on our impact on today’s world. 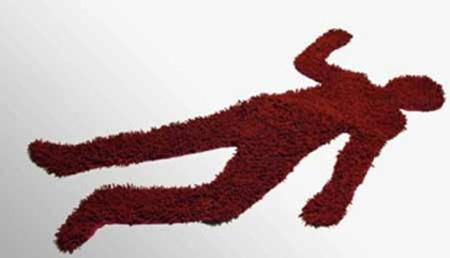 Concept rug design by Alex Carpenter that draws it’s inspiration from the classic chalk outline in movie murder scenes. 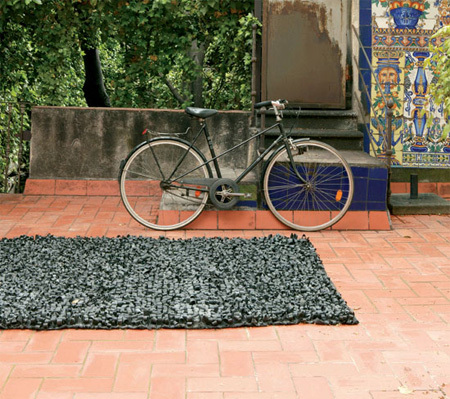 Bicicleta Rug from Nani Marquina is made out of recycled bicycle tires. 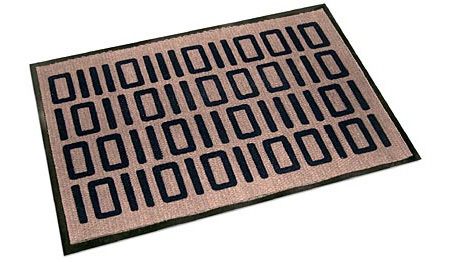 This stylish looking mat is really just the phrase ‘welcome’ encoded in binary. 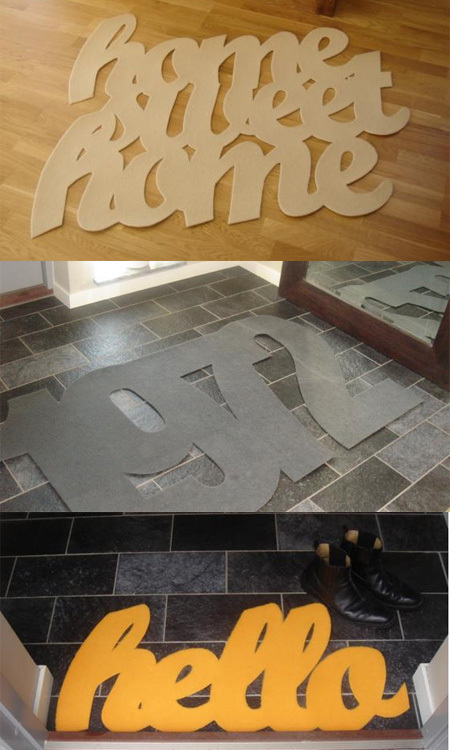 Beautiful custom type rugs from johnpourhome.com. 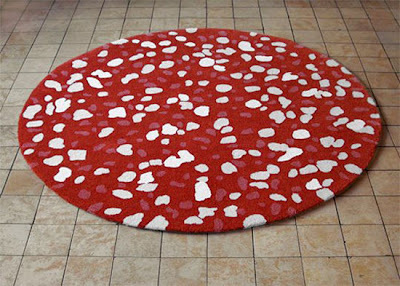 Beautiful roses rug designed by Nani Marquina. 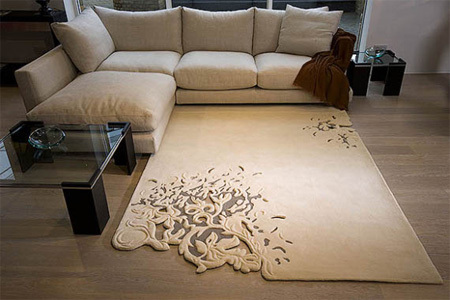 An organic floral pattern reaches into the whitespace on this rug, yet this pattern is more than grooves and layers. 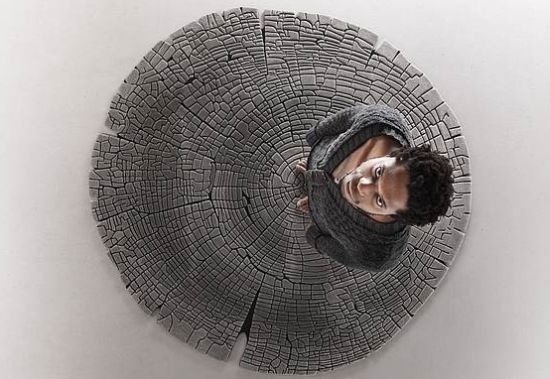 Designer Esti Barnes has cut these layers right through the rug itself, exposing the bare wood below. 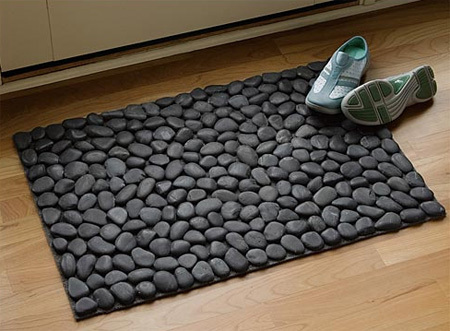 Washed and polished river rocks are hand-applied with strong adhesive to a durable backing of indoor-outdoor carpet. How much do you like eating meat? We imagine that for vegetarians, these Salami Carpets are the only way they would let meat into their homes. 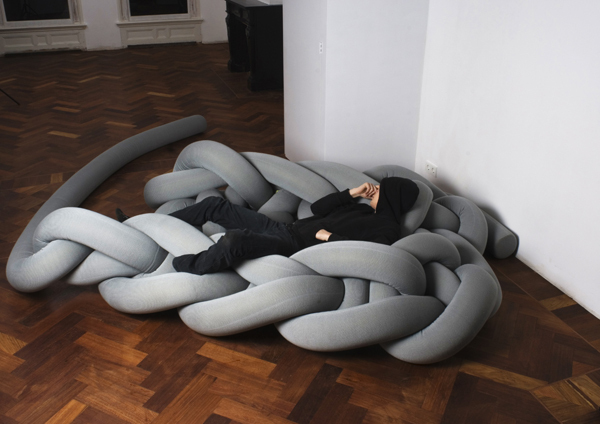 Designed by German studio Flachbild, these unusual products are knitted from wool and have a soft feel. They definitely would not fit well in an elegant environment, but more in a unconventional interior with a strong personality. 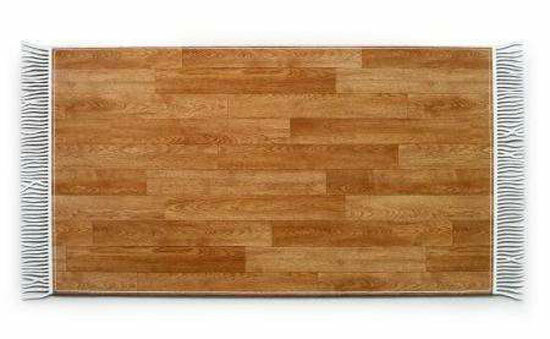 Love the look of a parquet floor but would still like to take advantage of the softness that a carpet provides? Here is a solution. The Fake Wood Carpet feels like a common rug, but flower patterns and straight lines have been replaced here with a model that resembles wood parquet. 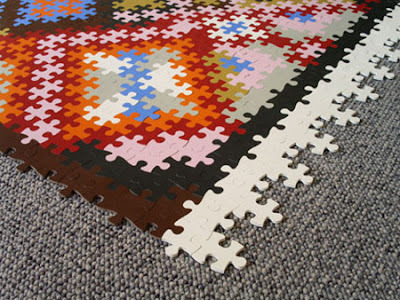 The Imperial Puzzle Rug combines ten synthetic “puzzle pieces” in order to form a unique product. Playful and fun, this home addition adds a plus of originality and style. Its colors are simple, fit for a contemporary interior. 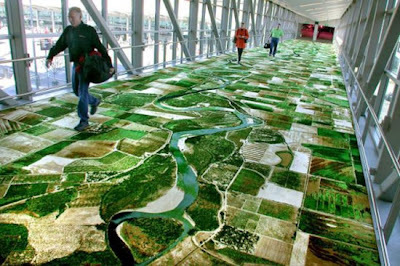 This unusual “Flying Carpet” was created by Seyed Alavi and it is actually an aerial view of the famous Sacramento River. The giant rug connects the Sacramento International Airport terminal with the airport parking garage. We think this is a very inspired idea for its location and we are looking forward to these type of creative designs being implemented worldwide. It's a two in one - a sofa cover and a carpet. When visitors come over, seating with friends on the floor while resting your back from the couch is another interesting idea. 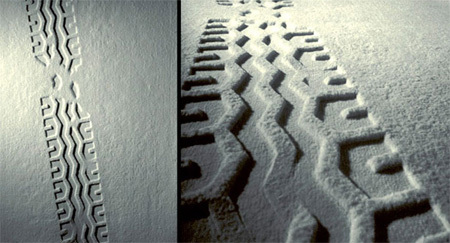 This is an original design, but one that we find difficult when it comes to maintenance. 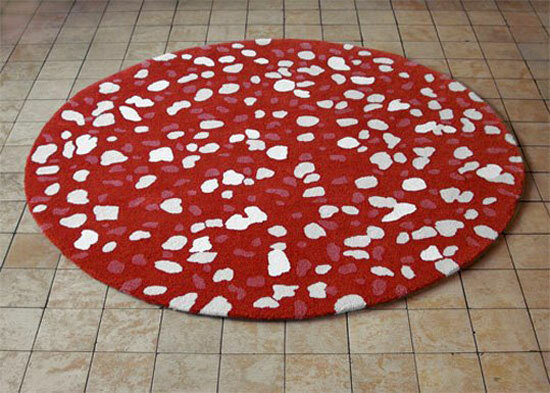 Tapistongs comes from Lise El Sayed and is a lovely rug that can fit wonderfully in a modern living room. 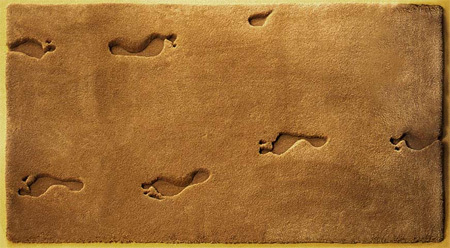 Its originality comes from the fact that the rug is not whole, but has four footprints where the two matching pairs of slippers should be. 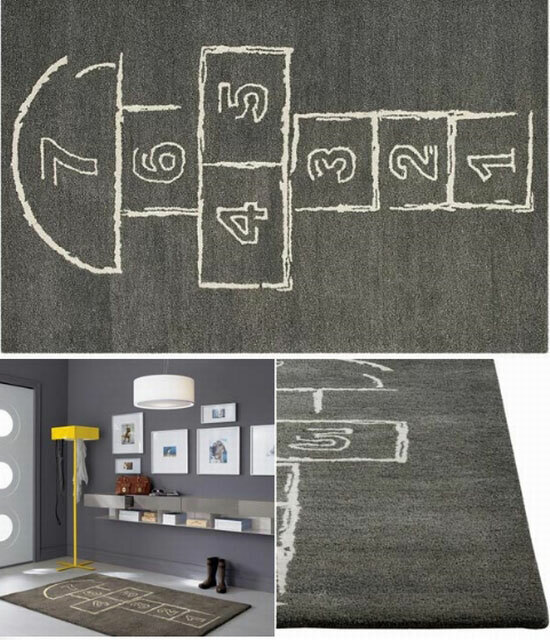 This Hopscotch Carpet is a delightful interior addition for children who will find a reason to jump, no matter how frightful the weather outside is. 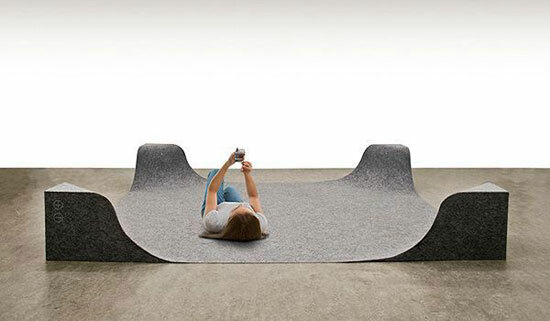 It is truly an enjoyable carpet idea, even for grown-ups. Designed by Nate Siverstein and Andrea Paustenbaugh, these shoelaces rugs are incredibly fun and original. 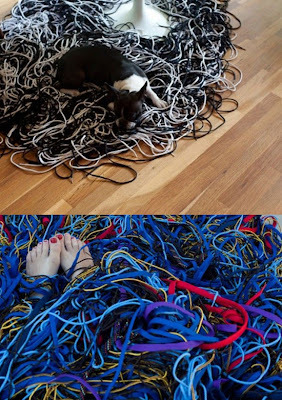 If you like this idea, there is nothing stopping you from buying a whole bunch of shoelaces and tying them together in order to create a playful flooring design item. From Bev Hisey, The Sightlines Carpet can act as a reminder for the next eye-check-up. Or it can be used as a way to control your sight in the comfort of your own home. Either way, it is a fun and unique idea fit for a minimalist interior. 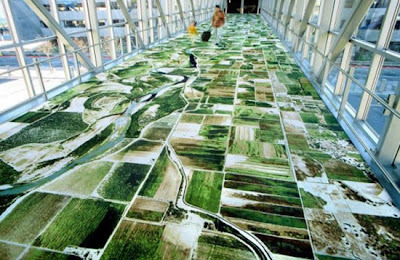 The Rug with Landscape Relief was designed by Laurens van Wieringen and feels comfortable and fun to walk on. It is perfect for kids who can play on it, play with it and also learn a few things with the help of their parents. 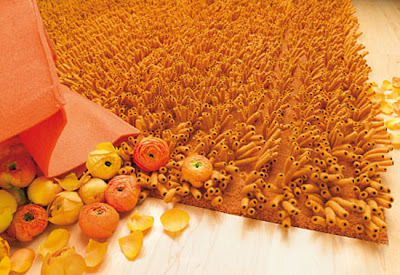 Colorful and friendly, this rug is made of tiny foam-bars, some bigger than the others, which give shape to a miniature landscape. 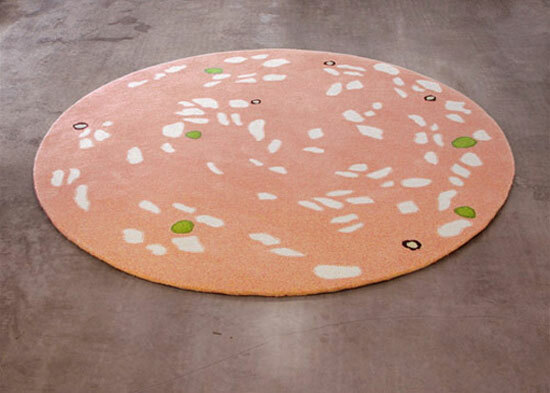 This unique rug design comes from by JAB Anstoetz and is made from merino wool, having a soft and inviting look. 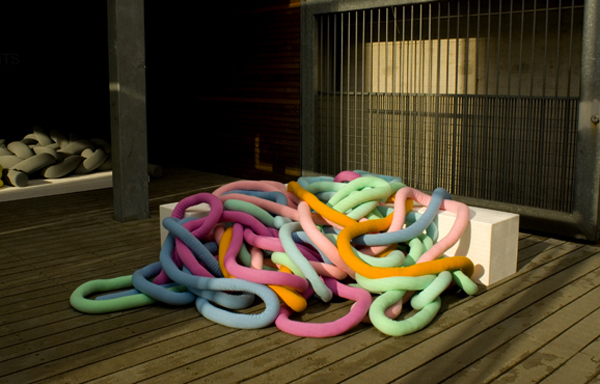 The yarn was transformed into a cool and playful tubular configuration. The innovative “tubes” are placed on a solid and resistant base. 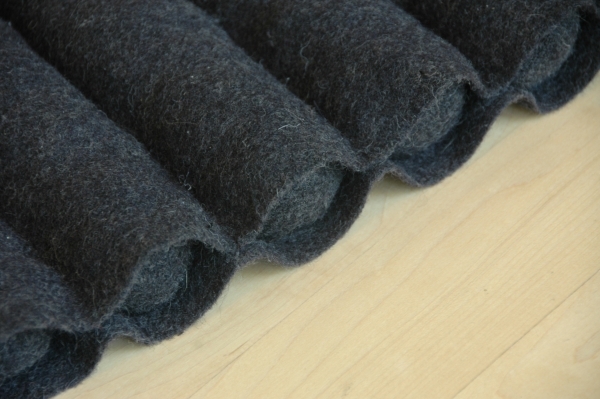 Lasa Carpet is available in five colors. 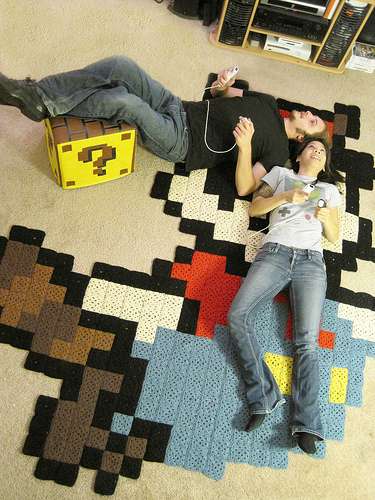 When you first see this carpet, you will wonder. Why would you willingly have something in your home that reminded you of a very unpleasant type of pain- ironically enough with every step you take? 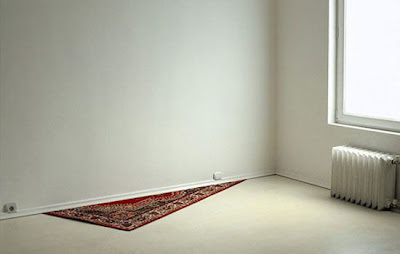 Still, the Plaster Carpet remains an original idea for anyone willing to transform their room into a wacky living space. 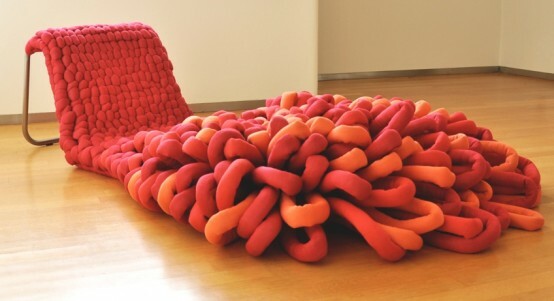 The “Comb Over” carpet by Meirav Barzilay has a very odd idea behind it, but looks very fun. 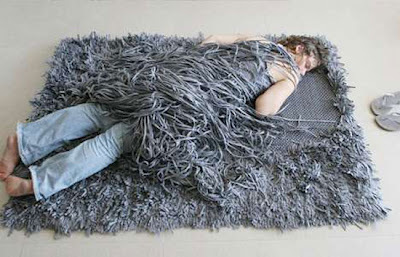 Inspired by the hairstyle “comb over” which bald man usually use, this carpet looks willingly messy but could act as a good bed when in need of an unconventional nap. 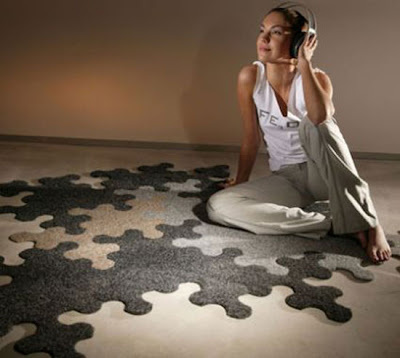 The Zipper Rug is an ingenious solutions for those who want their floor “remodeled” from time to time. 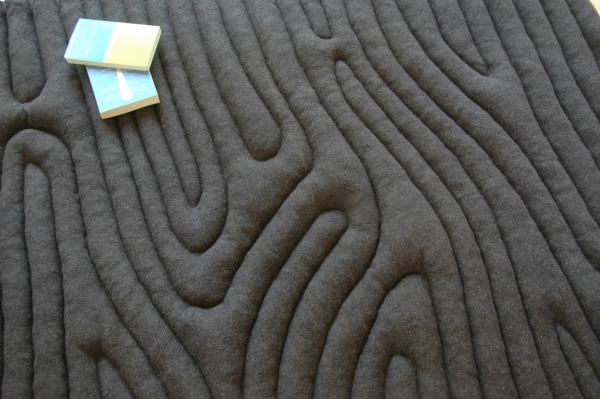 This carpet is made from modular pieces connected together using zippers. 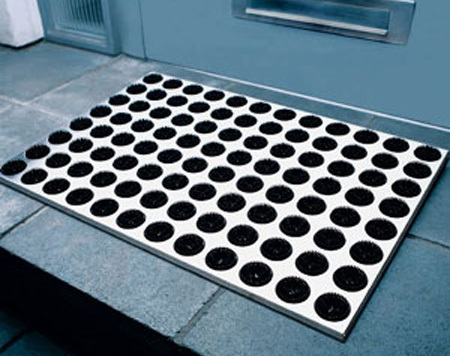 This idea is very useful when considering cleaning, hiding wires efficiently and so on. 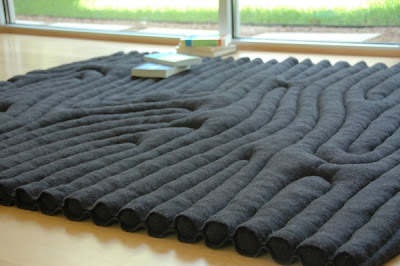 The Sound Carpet was designed by Lim Hyuntaik and has a unique characteristic: it can also be used as a sound system. Hiding the clutter which the common speakers usually come with (plenty of wires), this original mat integrates the system in its four raised corners, leaving plenty of space for the user to relax in the middle. 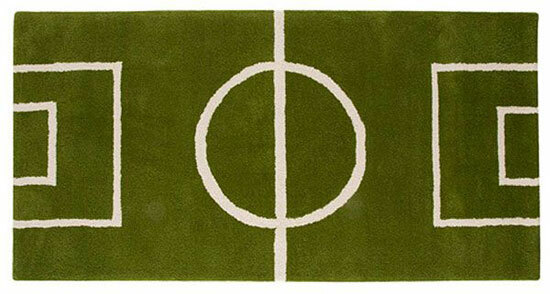 The Football Field Rug is perfect for all the football fans and there are definitely many of them out there. 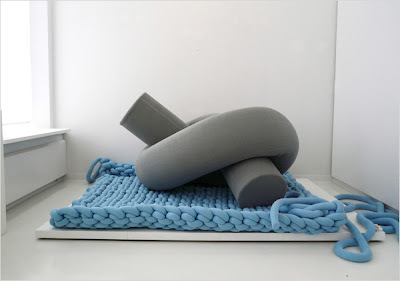 It was designed by Karin Mannerstål for Kateha and is made from wool. 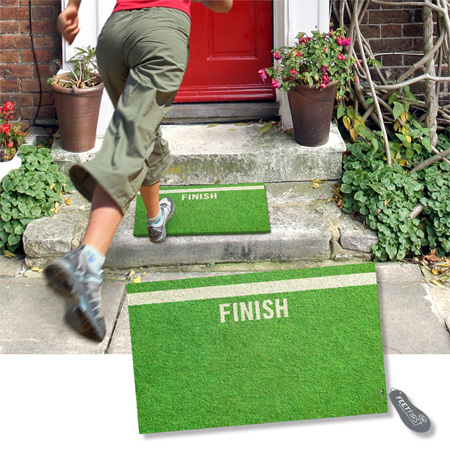 The miniature soccer field could make for a great present and it can fit well into a variety of interiors. Confusion is a slick and simple idea that creates a disruption in the overall look of a room. 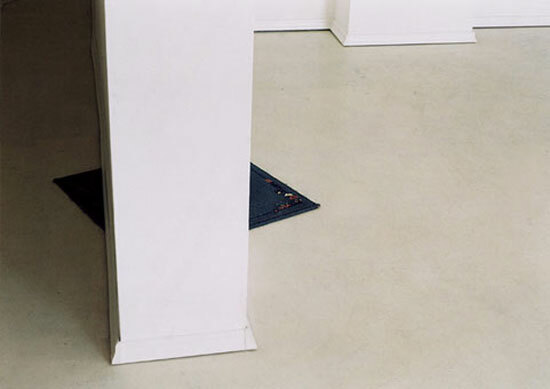 The unexpected carpet corner offers the illusion that the rest of the rug can be found behind the wall. This crazy idea comes from Pravdoliub Ivanov and could really cheer up a dull interior. 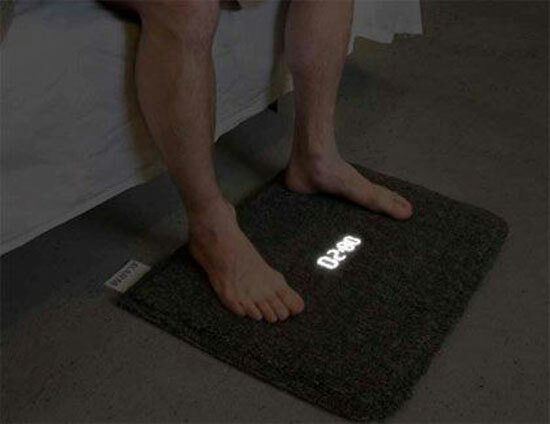 This ingenious “Wake Up and Walk” Mat contains an alarm clock which can only be stopped by stepping on it. It is known that by walking in the morning, you are likely to feel sharp and ready for a new day a lot faster than if you stay in bet a while longer. 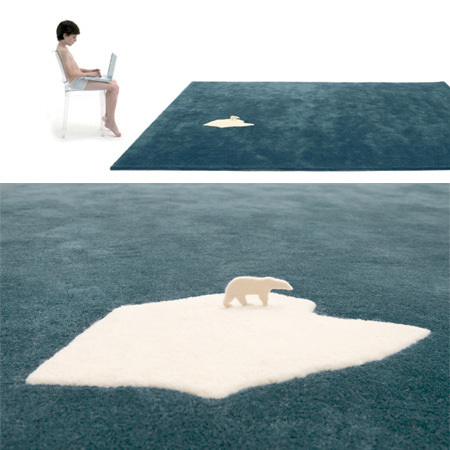 Light Carpet comes from Imu Design and was created by Johanna Hyrkas. 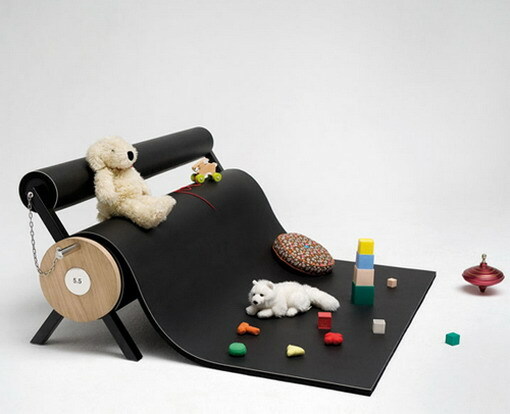 Its design is quite simple and it looks just about right for the children’s’ room. When the night approaches, the unconventional carpet can be plugged in and it will shine, creating a soft light. 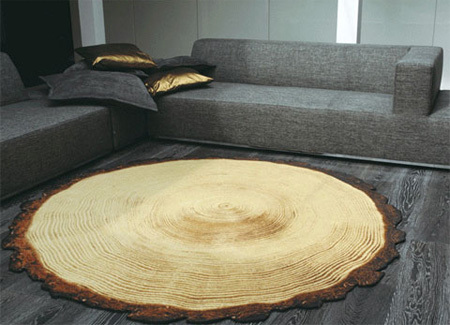 The Tree Ring Carpet comes from Floor to Heaven and looks like a ring belonging to a giant tree. Made from a very soft material, this rug is extremely comfortable and its simple color goes well in a variety of modern interiors. 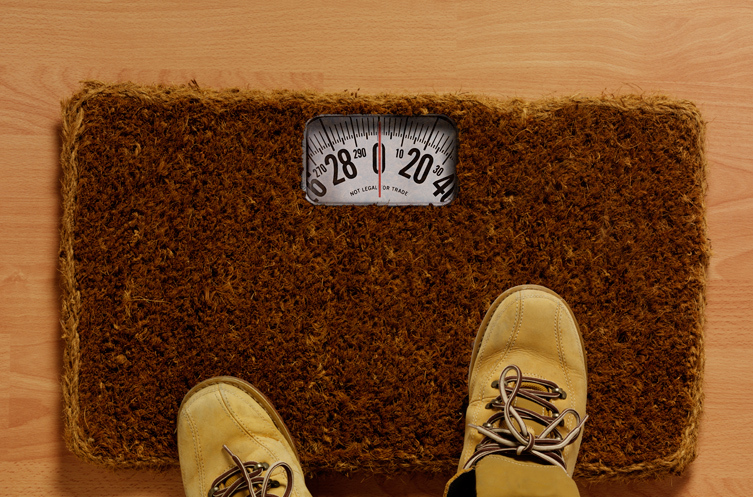 Its size is considerable, so no other carpets would be necessary once this beautiful rug is installed. 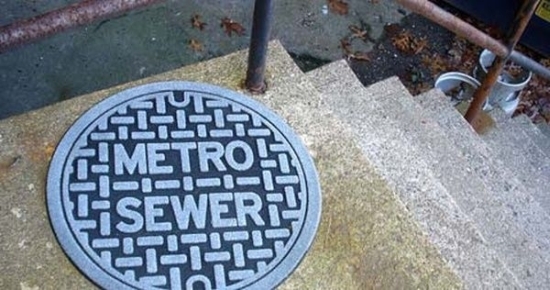 These Sewer Mats were made from recycled truck tires and make for some wacky and fun carpets. Designed by Jason Amendolara, the mats feature reproductions of famous city sewers, such as Chicago, London, Paris. This is a cool idea that can be implemented outdoors as well as inside a home, in order to spice up the look of the hallway. An easy way to measure your weight everyday and keep in touch with your health and diet. it was Designed by Emilio Alarcon. 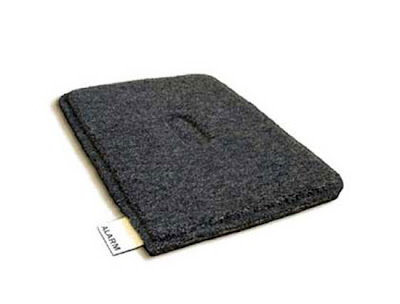 The whole aspect of your room may change with this wedge area rug. Actually it is a combination of an area rug and furniture. 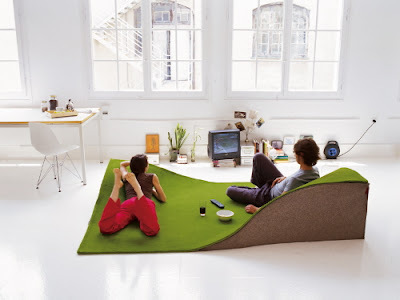 The result is an amazing undulating rug where you can rest on it, feel comfortable while you can watch TV or read something. Your kids may also love this type of rug which can be a nice place for his playing area. Design by Nanimarquina. 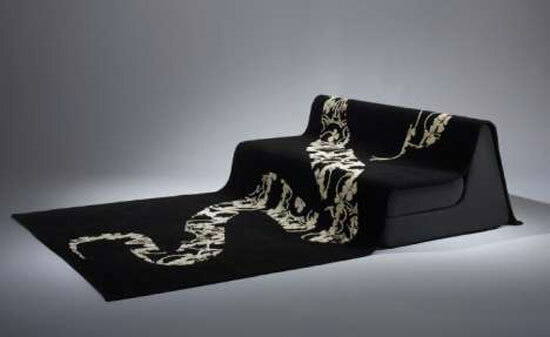 For those who do not like so much colorful and artistic designs for rugs, Ron Arad has a nice proposal.He created a rug for which it was used a pixilated, abstract design. Actually there are some nice, little squares, combined in different ways and using colors like red, dark blue and grey. You may match your interior design with one of these seasons: spring, summer or fall. 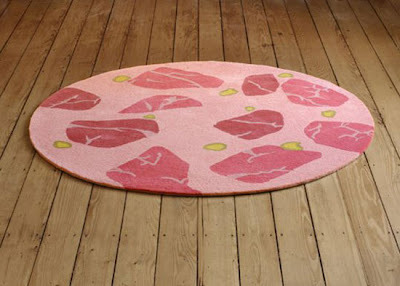 Now it is possible with this reversible rug designed by Yvette Laduk. 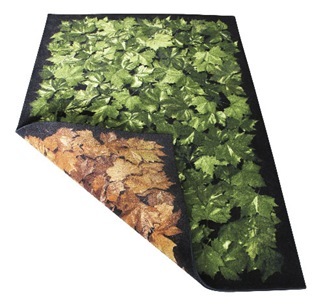 For spring and summer you may use the green color of the leaf pattern from one side and for fall you may turn the rug on the other side where the leaf pattern has a brown color. 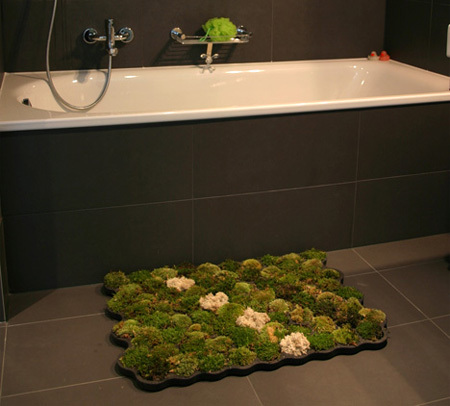 Now you have the opportunity to bring the freshness of nature into your house. 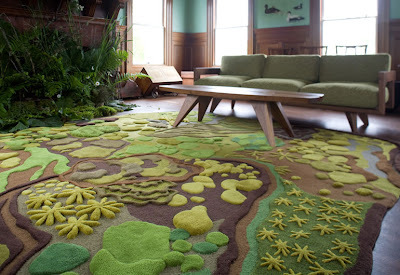 You are able to do this thing if you use this beautiful Forest Rug., designed by Angela Adams.As its name says, it represents the image of a green forest and the beautiful nuances of green are combined with some brown spots. 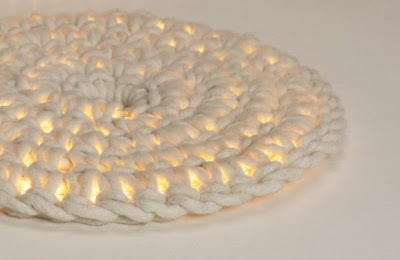 Your room or living room atmosphere will become more pleasant and peaceful. This is an innovative design to carpet the floor, because the carpet is basically a big roll of carpet floor that can be used as a bench or decompose and turn into an area to sit / relax. The designers call it “dispenser convenience”. 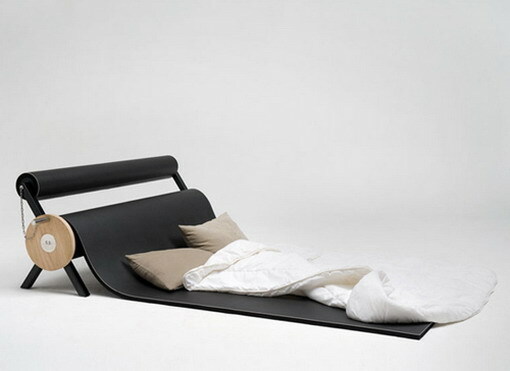 This allows for flexible solutions to the ordinary activities of life. A place for kids to play, the place for you or your guests to rest or nap, a place for space while having a long phone conversation, or for an impromptu picnic in your living room – this sense of life that regular carpet improvisation. 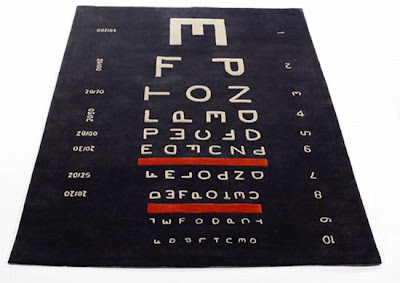 This unique rug comes from Rauser Design, a multidisciplinary design firm located in Austin, Texas. The rug is described as "The redeploy rug draws on the beauty of 100% wool Russian army blankets. After the stitched pattern is in place, the blankets are carefully hand-stuffed with wool-blend army surplus blankets and finished with an edge detail that emphasizes the organic lines." 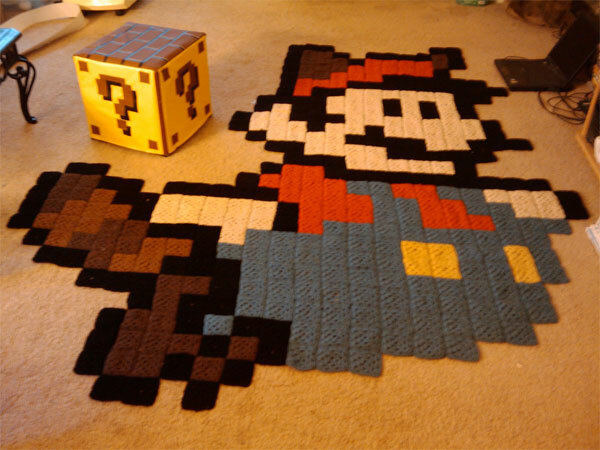 Now, your favourite game character will be always be with you. 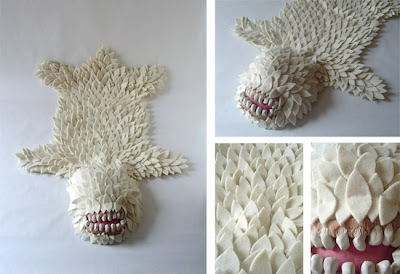 The Monster Skin Rug by Joshua Ben Longo of Longoland Design. It’ll go very well with the Monster Skin Chair. 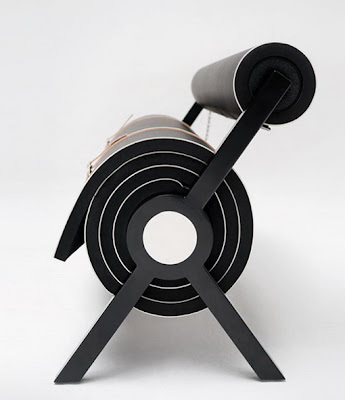 This innovative “Loop Chair” is a hybrid of a lounge chair and a rug created by Sophie de Vocht for and will produced by Italian Casmania. 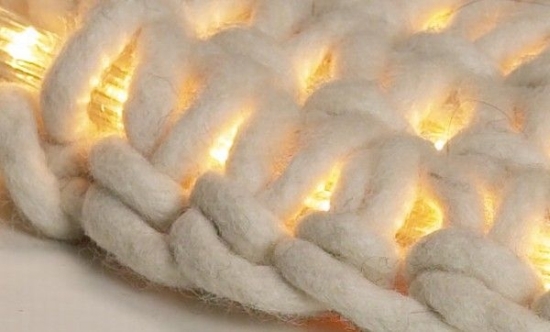 This cozy chair made from 1,000 feet of yarn pulled through a tough metal wire mesh. The seat cover is made with using a designer’s hand-tufting technique. Phat Knits created by Dutch designer Bauke Knottnerus is a series of brilliantly over scaled furniture pieces. 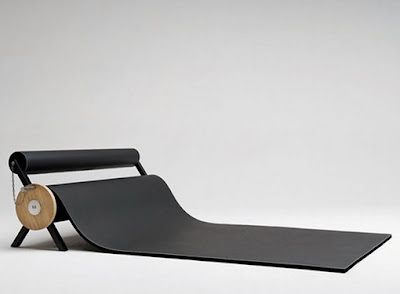 Despite the fact that the designer claims that he doesn’t really see himself as a furniture designer. 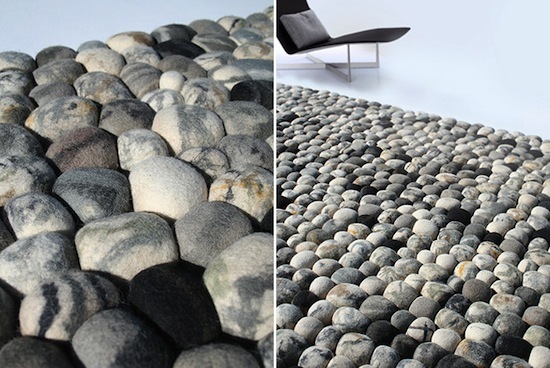 This wonderful River Bed Pebble rug is inspired by the natural pebbles of a river bed or beach. The intention of the design is to imitate the natural stones as close as possible by means of color and shape and add an element of suprise in choice of material. You step, sit or lie on soft and warm stones. Designed in Norway by Ksenia Movafagh and crafted by hand in India.